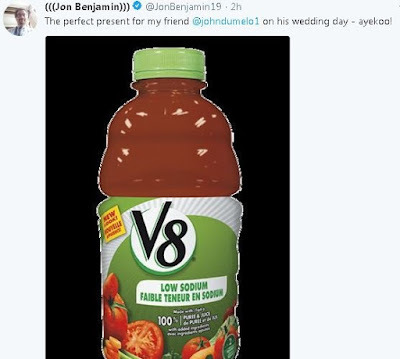 Jon Benjamin’s ‘fondness’ of Ghanaian actor John Dumelo seems not to have waned even after he left the country. Jon has always teased the ‘Baby Thief’ actor with this social media trolls – prominent among which was Dumelo’s infamous V8 saga in which he was reported to have been given a V8 vehicle by the previous government. The UK diplomat also received a lot of flak from some Ghanaians for his supposed inapposite comic commentary on certain issues while he worked in Ghana. 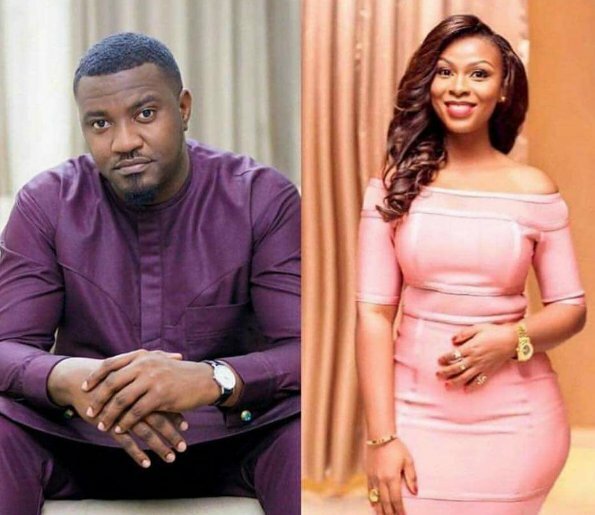 John Dumelo he is getting married today (12th May, 2018) in a private ceremony at Spintex in Accra to Gifty Mawunya Nkornu, a graduate of the University of Ghana. John Dumelo has acted in movies such as ‘Baby Thief,’ ‘Men in Love,’ ‘Northern Affair,’ ‘Heart of Men’, among others.